Stockade is the original “Security fence”. When used by pioneers, the wood stockade fence had sharpened logs placed side by side around the perimeter of camps and forts. 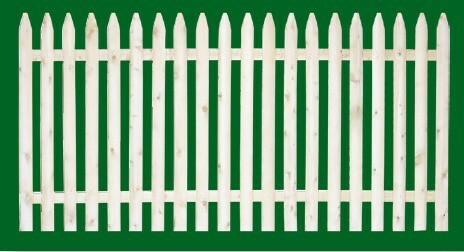 Today, Eastern stockade fencing provides privacy and security at minimum cost. From the outside, stockade fences are extremley hard to climb and are an attractive and economical solution for your backyard refuge. 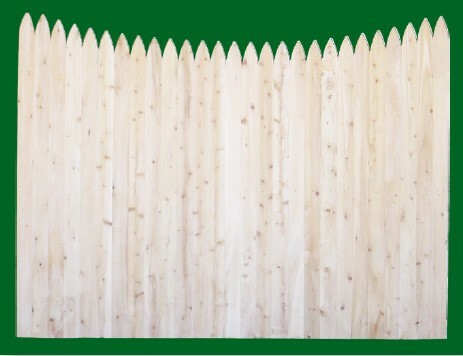 Cedar stockade can be ordered with straight or scalloped tops and picket fence sections come with standard Spruce back rails. Cedar back rails are an upgrade. 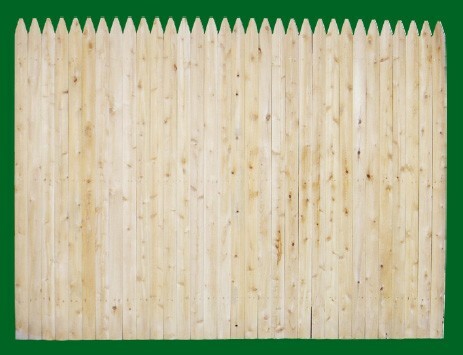 Spruce stockade is also offered in straight top only. All products have a “milled” picket (rounded face). Almost all of Eastern White Cedar Brand Wood Fence Products are available with multiple options to help custom taylor your fence for the most attractive installation. Whether it’s Custom Toppers, Ornate Post Caps and Finials, Unique Board Styles or Classic Board Edging you will have no trouble finding the perfect match for your individual setting..